It’s Not (Just) What You Do, It’s (Also) How You Do It! Please join us on August 22nd as Dr. Jeremy Grimshaw and Dr. Kathy Suh discuss how to use behaviour change and implementation science to improve outcomes. This webinar, using physician hand hygiene as an example, will highlight how shifting the focus from what you are doing with your improvement efforts to how you are doing it can enhance your results. 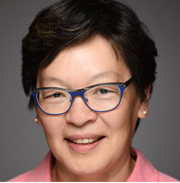 Kathryn Suh MD FRCPC CIC is the Medical Director of the Infection Prevention and Control Program and co-leads the Antimicrobial Stewardship Program at The Ottawa Hospital. She is an Associate Professor of Medicine at the University of Ottawa, and a practicing infectious diseases physician at The Ottawa Hospital. Dr. Suh graduated from the University of Ottawa, Ottawa, ON Canada (MD) and trained in internal medicine adult infectious diseases at the University of Ottawa, and in hospital epidemiology and infection control at the University of Rochester, Rochester, NY. She has a Master’s degree in Epidemiology from Queen’s University (Kingston ON). She is a fellow of the Royal College of Physicians of Canada. Research interests include hand hygiene, antimicrobial resistance, and influencing behaviour change related to infection control and stewardship. Jeremy Grimshaw received a MBChB from the University of Edinburgh, UK. He trained as a family physician prior to undertaking a PhD in health services research at the University of Aberdeen. He moved to Canada in 2002. His research focuses on the evaluation of interventions to disseminate and implement evidence-based practice. Jeremy is: a Senior Scientist in the Clinical Epidemiology Program, Ottawa Health Research Institute; a Full Professor in the Department of Medicine, University of Ottawa and a Tier 1 Canada Research Chair in Health Knowledge Transfer and Uptake. In 2015 he was elected co-chair of the Campbell Collaboration and became Corresponding Fellow of the Royal Society of Edinburgh. 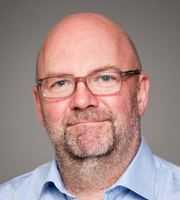 He was the Director of Cochrane Canada (2006-2015) and the Co-ordinating Editor of the Cochrane Effective Practice and Organisation of Care group (1997-2015).